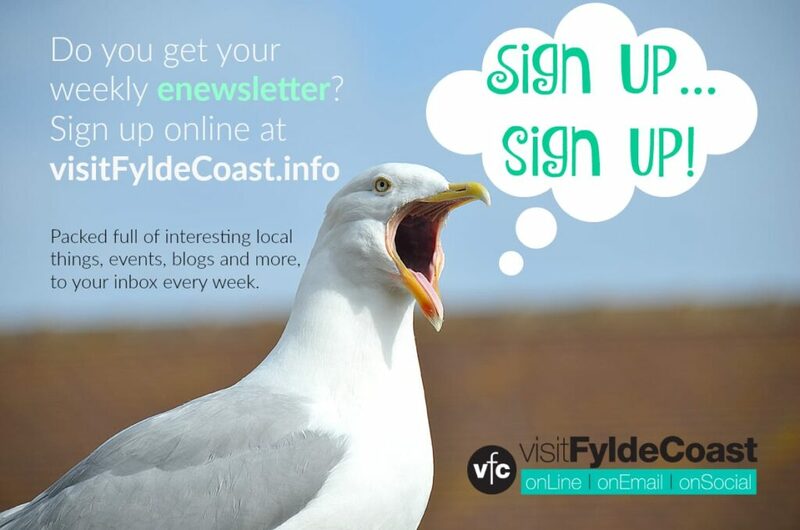 Come and have a look around Blackpool South Shore: South Promenade and Squires Gate areas. If you like the contrast of a quiet stroll after all of the bright lights and razzamatazz, then New South Promenade is for you. Blackpool is a place of contrasts. 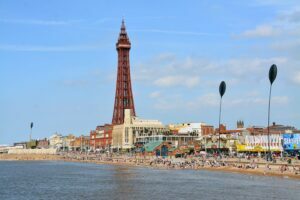 It’s a typical British seaside resort – probably the most famous one of all – and it really does offer something for everyone. Around the area of the Sandcastle Waterpark, Pleasure Beach and South Pier everything is bright and vibrant. It’s full of life and colour! Head south along the seafront, with the sea on your right (like it is in the above photo). 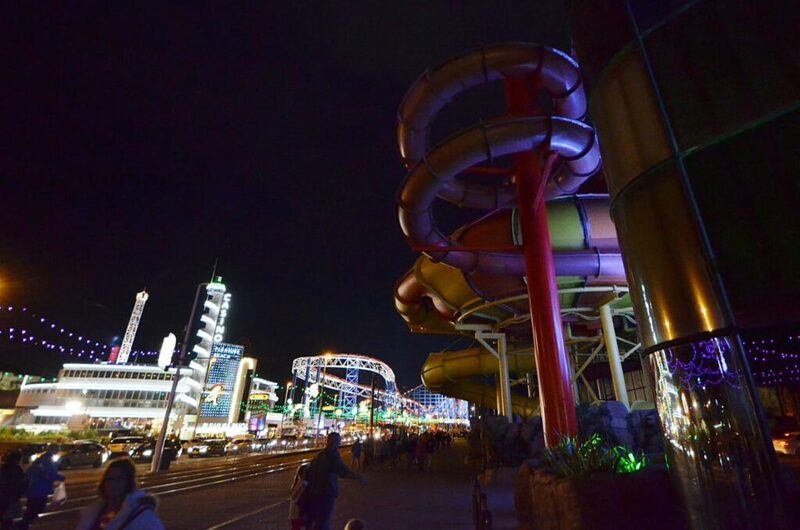 As you head away from the bright seaside lights, past the Pleasure Beach and rollercoasters, everything goes peaceful. Enjoy a walk along the wide promenade. It’s a perfect place to take your dog for a walk – maybe you’d prefer to jog or ride a bike. It’s a great public open space for everyone to enjoy at any time of the year. Have a look around in this short video clip. It was filmed in December so you can see that the middle of Winter can be just as beautiful as summer! There’s plenty of space for everyone, it’s a safe place for children to run off their steam and it’s also very flat too. So you’ll be pleased to know that there are no there are no big hills to navigate! It’s a broad promenade walkway, with seating places and shelters for you to enjoy as you take in the spectacular view of the beach and the famous west coast sunsets. Recharge your batteries and enjoy the views over acres of golden sands. Blackpool South was also the first beach in Blackpool to secure the prestigious Blue Flag for the high quality of the beach and bathing waters. The West Coast is famous for it’s amazing sunsets. All throughout the year you’ll see the most spectacular sunsets, as you look across the Irish Sea. We’re treated to endless displays of red, gold and amber as the sun goes down over the horizon creating the most beautiful sights – and each one is slightly different. 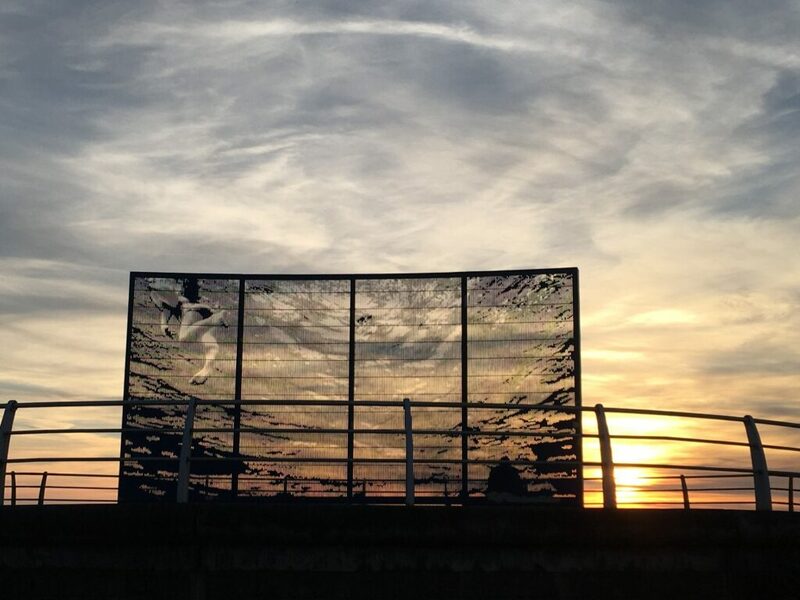 If you like to see a Fylde Coast sunset, head to the seafront in the evening following a clear, sunny day. Winter or summer that’s when you’ll get the most impressive ones. 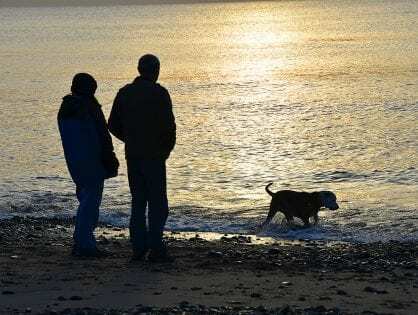 Unless you’re lucky enough to live nearby, or even better still right on the seafront, you’ll probably need to travel to South Shore: South Promenade and Squires Gate. There’s a fairly big car park on the sea side of the tramway near to the Sandcastle Waterpark, with more car parks to be found around the Pleasure Beach. From the Pleasure Beach southwards, the promenade highway is wide and flanked by on-street pay and display car parking bays. There are bays along the full length of Blackpool New South Promenade, almost to the Blackpool boundary with St Annes at Squires Gate Lane. There is some limited free parking on adjacent side roads. 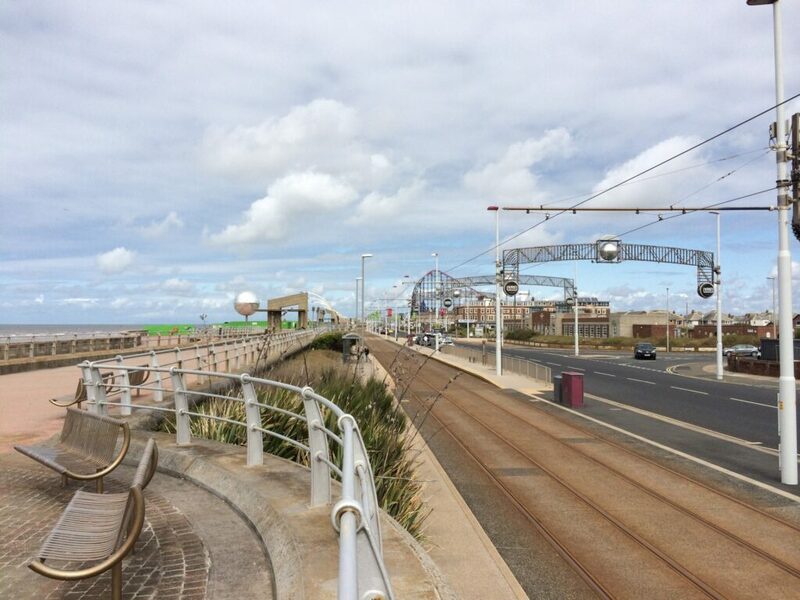 The Blackpool tramway travels the full length of the promenade on its journey through to Fleetwood. Take your pick from a sleek new tram or ride one of the Heritage Tram fleet. Not forgetting Blackpool Transport buses, you can easily get about with the excellent public transport links. The Blackpool Illuminations carry on to the Welcome Arch at Squires Gate. 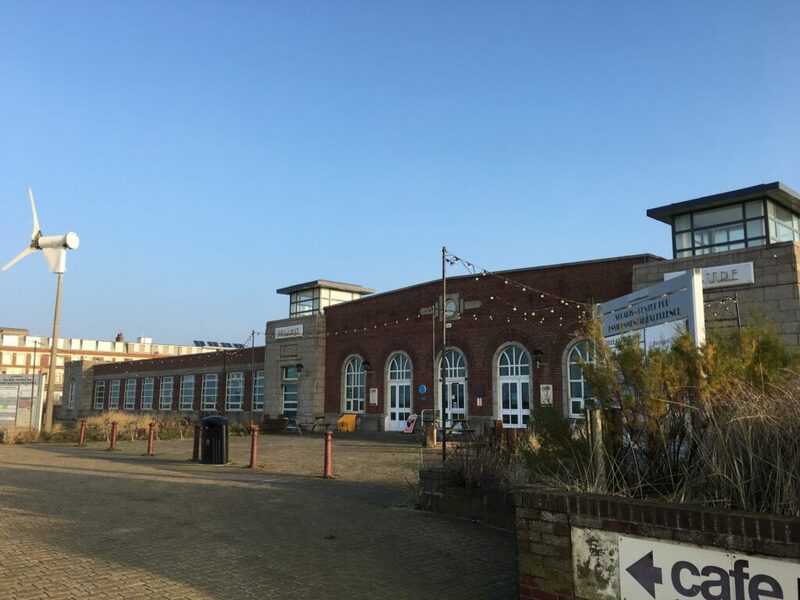 The arch is adjacent to the new tram depot, which stands between the main road and the beach. New South Promenade is also home to a public art trail. The largest and most obvious piece of which is the huge, twinkling Glitterball. 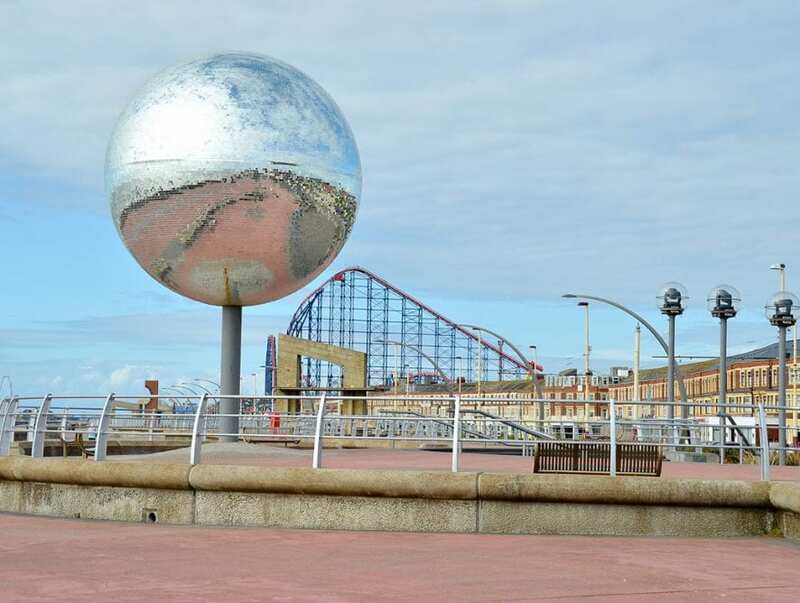 The Great Promenade Show is a trail of public artwork at New South Promenade that’s designed to celebrate the uniqueness of Blackpool. Covering the whole two kilometres from Squires Gate to South Pier it includes ten unique pieces. Some come to life at night, others move, some make a noise, like the wave powered Musical Organ. You might not like them all, but there’s certainly something for everyone! 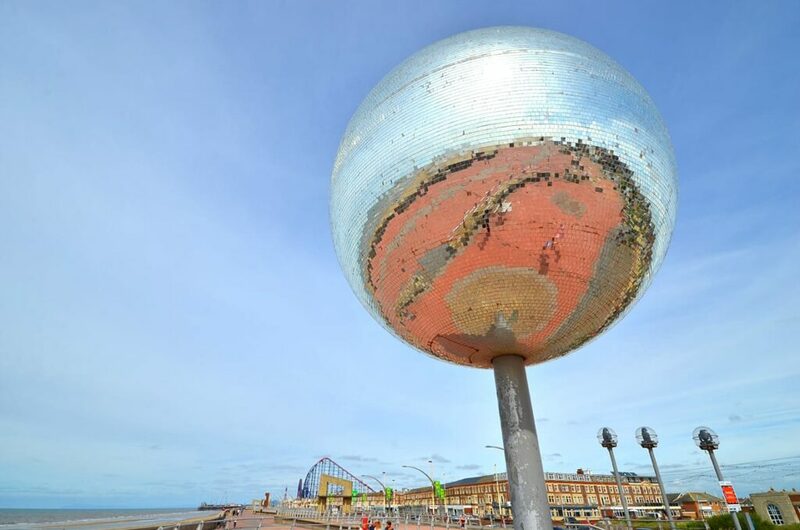 The Solaris Centre is opposite the Mirror Ball on New South Promenade.  Run by Blackpool Council, it’s home to a number of offices and small businesses. There’s a cafe there which is open to the public who are in need of tea, cake and biscuits. Behind the Solaris Centre is a green area and small children’s playground, which are also open to the public. The Solaris Park is looked after by a relatively new Friends group. They’ve already made a big difference, why don’t you join in? Keep your eyes peeled when you visit because it’s amazing how much wildlife lives in the bushes and undergrowth that surrounds the plot. At the right hand side of the Solaris Centre you’ll find a block of Danfo public toilets. 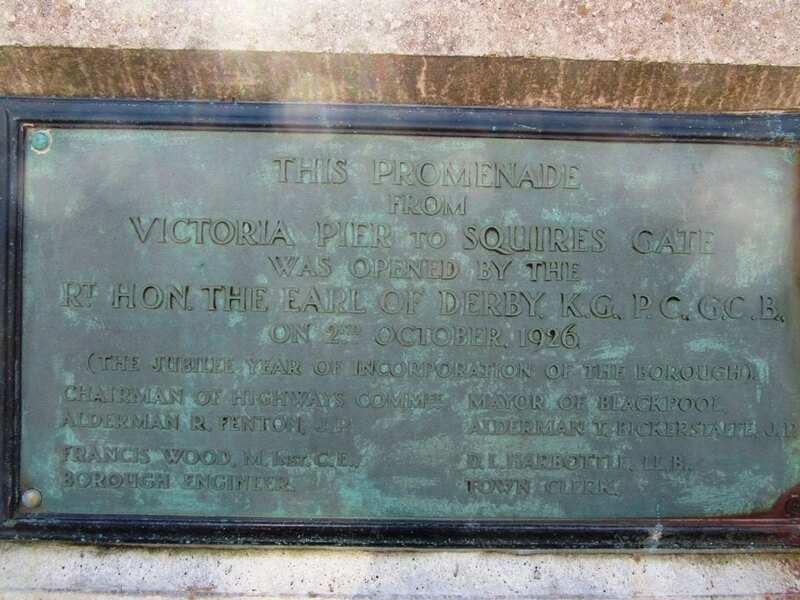 The sea defences and promenade itself at Blackpool South Shore are relatively new. They were completed in 2001. Strengthening the sea defences and protecting the residents and businesses of Blackpool from flooding is the primary reason for construction work like this at south shore. 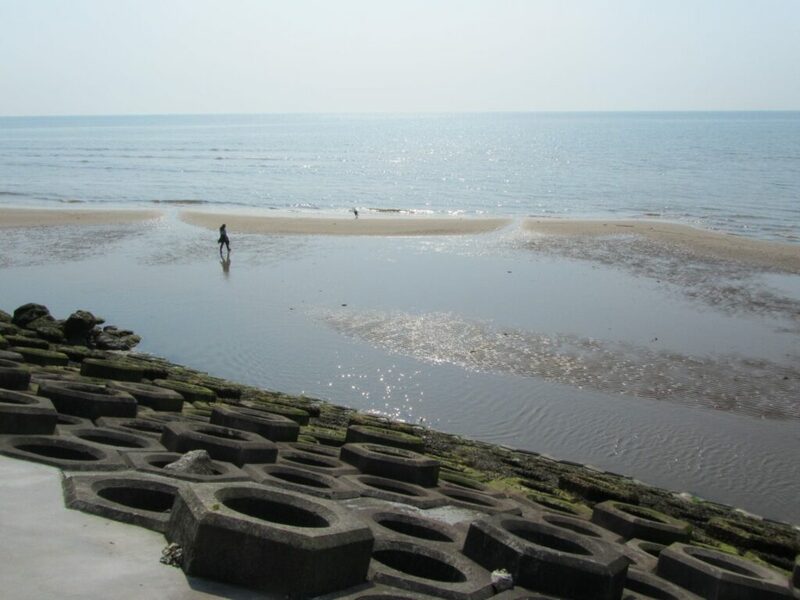 However, new sea defences also create a huge transformation for the seaside resort. Each new addition makes an attractive welcome to the Blackpool area, both for the people who use it and traffic approaching the town. Their construction is a mix of traditional sea wall and ‘sea bees’ which are hexagonal concrete structures that look similar to the nut from a nut and bolt. They dissipate the energy of the waves when they crash against them. An added bonus of the design is that they act as artificial rock pools. They actually harbour a lot of wildlife. Go take a look! You also find two plaques side by side near to the Mirror Ball. This one (below) celebrates the original opening of the first sea defences on 2nd June 1926. Next to it is one from the opening ceremony held on 10 September 2001. There are steps down to the beach along this stretch of seafront. They’re closed off with chains at high tide to keep pedestrians safe from the force of the sea. Why don’t you take a look around, and remember to share your photos with us!